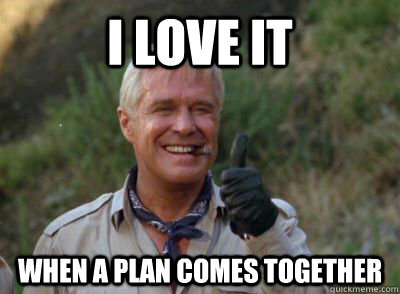 The final bit in the whole RWBY project saga. 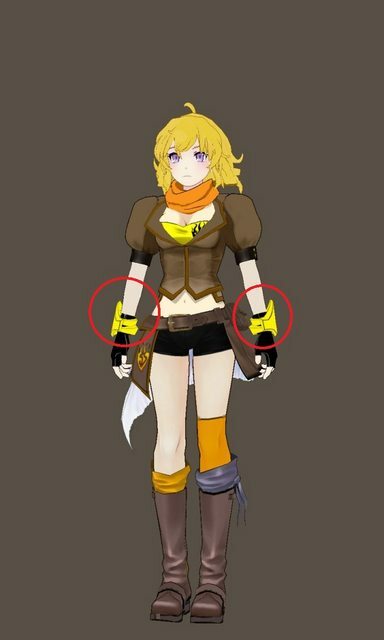 As I was working on Crescent Rose I caught wind that there was no Yang slated for SDCC. 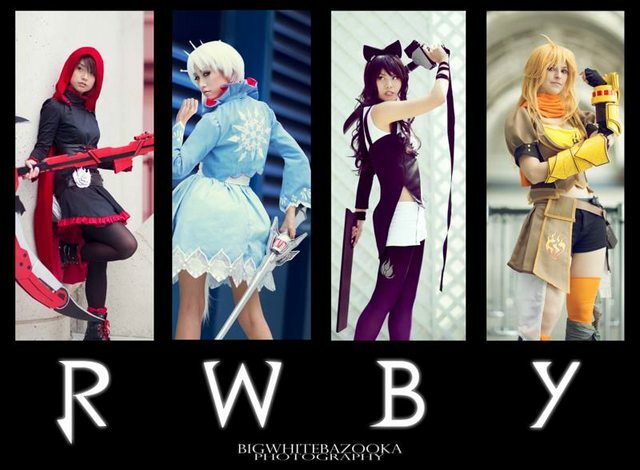 The show is called RWBY not RWB and I felt that an official cosplay group should HAVE all the characters. 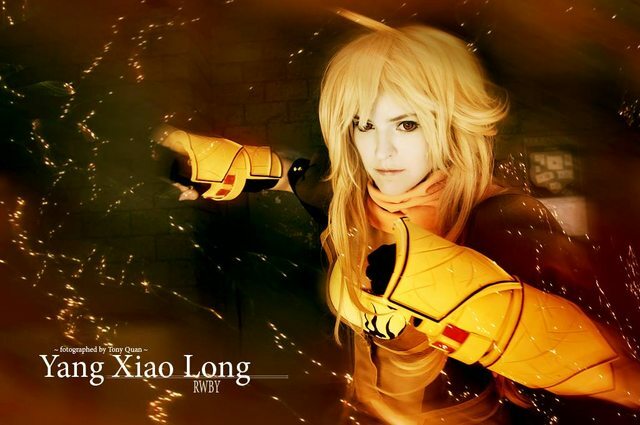 I took a shot in the dark and offered that my girlfriend would make Yang for them, I was told to just continue work on Rose and to stand fast. I'll be honest, I didn't think I'd get the job, but I also knew I'd regret it forever if I didn't at least try. A couple of days later I got the green light to start the project. I had mixed feelings about my success in landing the commission. I was given extensive resources with which to work this one out, but time was not one of those resources. I only had 6 days remaining to wrap up Rose while finding time to complete Ember Celica. Here are a couple of the references I was given. For the record, Yang has the best trailer. Watch it before you continue, you will not be disappointed. 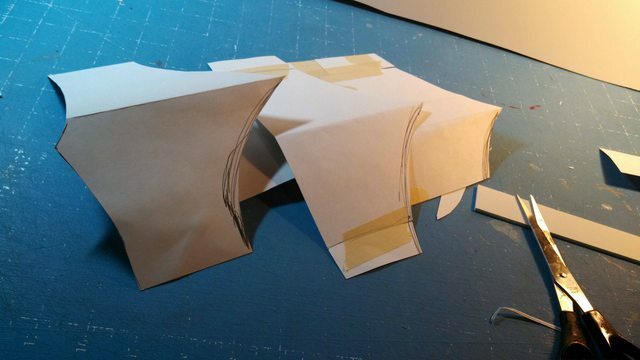 First order of business was to get the cardstock pattern out the door. They were small enough for my scanner so here they are! 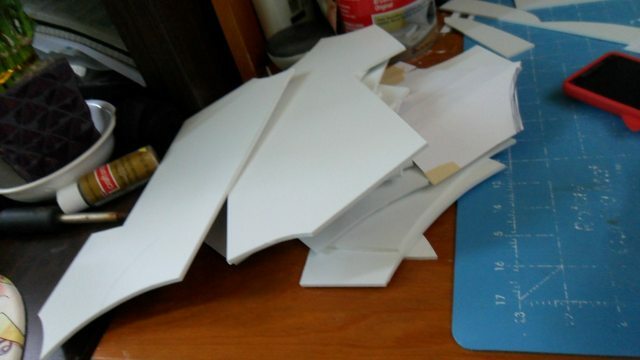 I cut all the pieces from PVC foam using a ruler and box cutter. All the pieces were heat shaped. 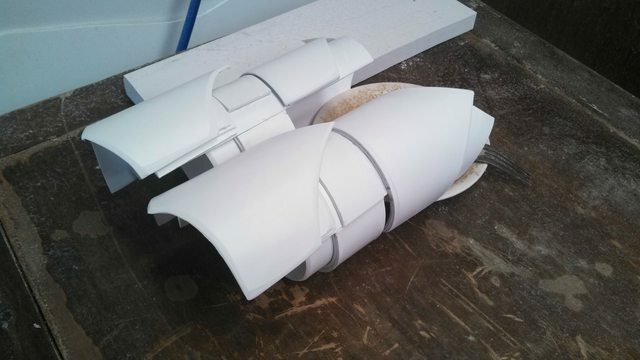 I used a PVC pipe as a bending form to ensure they were all a uniform bend. They looked really rough. REALLY rough. Not going to lie, I really did consider putting shotgun shells into Celica. I have them in my house, might as well use them? Instead I just used them for a size reference. 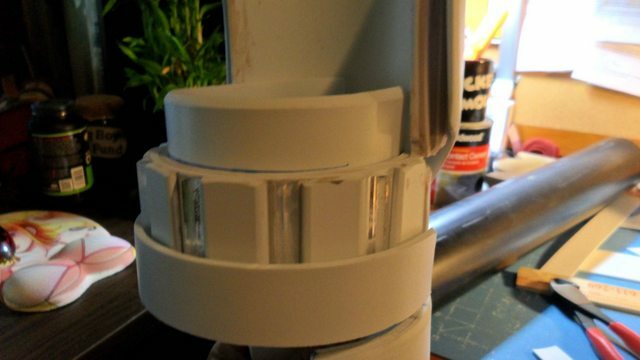 Pieces were glued together using Loctite Professional Liquid Super Glue. 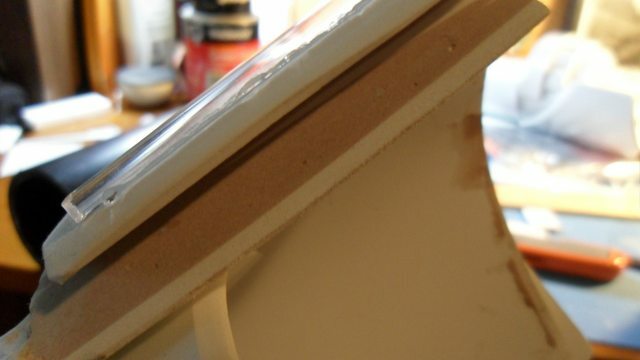 Edges were beveled using an orbital sander and a belt sander. 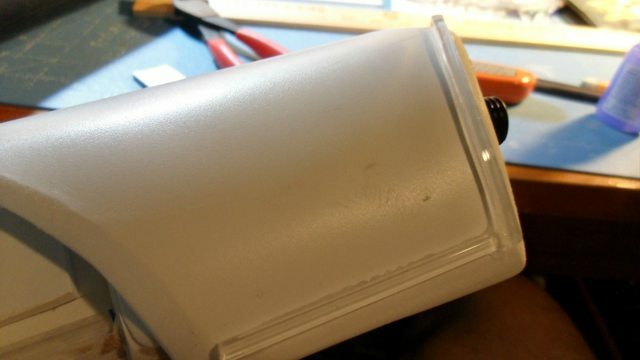 Added acrylic trim on the top. 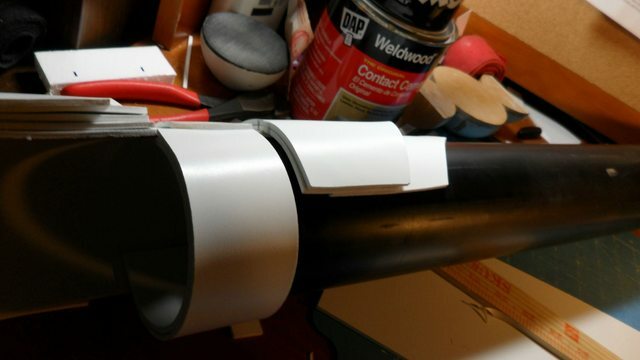 Added acrylic and PVC for the ammo section of Celica. 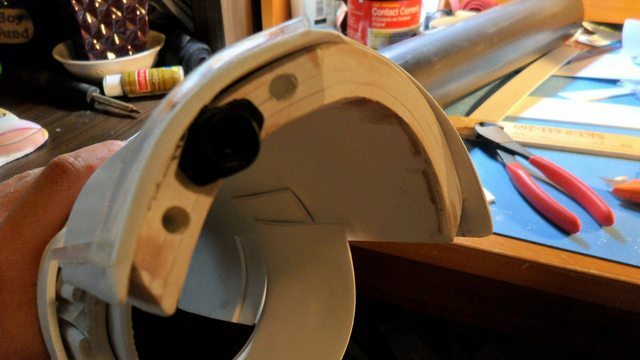 Bondo'd the seams and sanded flush. Drilled a hole and added the same sprinkler fitting that was on Crescent Rose sans cap. Drilled another set of holes... because it looked cool I thought. I assumed the black on her forearms were long gloves she wore underneath. NOPE. In any case I added the section, then proceeded to add some battle damage to it. I carved it all out using my box cutter. 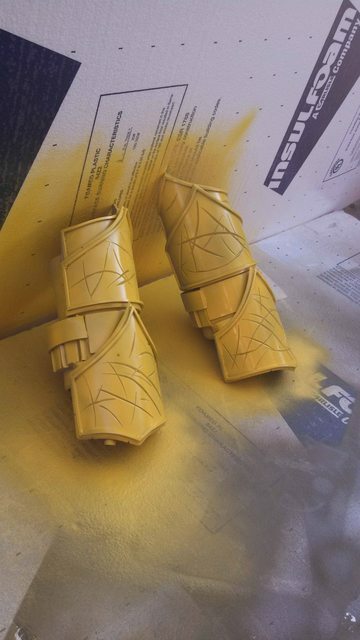 Painted it yellow. I was considering painting it vibrant gold. Thank God I didn't. Yang had an appearance lined up on MTV the following morning so had to paint the trim with a black paint marker and red was the Testor's enamel. The whole thing was done and over with. I just stepped back and watched people really enjoy the group as a whole, it was really humbling. To my surprise I got to do an interview with Rooster Teeth about the props while I was wearing my Tryndamere costume of all things. All in all I was super pumped from the whole experience. Hope people liked the RWBY project! I had a great time doing it! 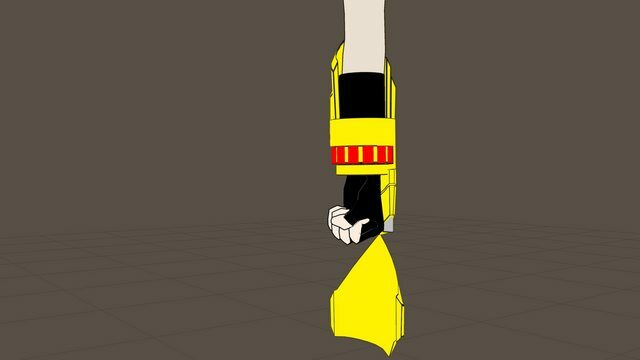 Watch out for more RWBY weapons from us! This series is just getting started! Christ! The stuff you guys make is fantastic! Attention to detail is what makes these things make an impression. What material is the best for working on miniature scales? 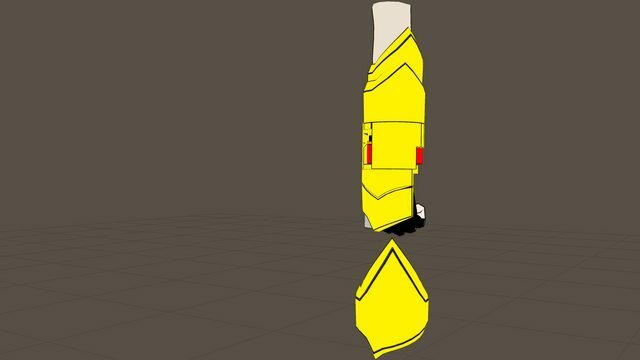 (1-5mm for the smallest part) I've had some CAD files for a working Assassin's Creed blade I made a few months back and I'm itching to make a serviceable prototype. 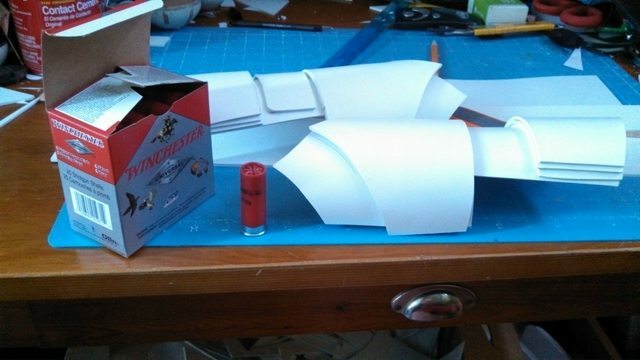 In general I use 1mm for details, 3mm for armor and 6mm for props such as swords and guns. Hope that helps! I really hope you do Nora's Hammer. I want to cosplay her and well, it would be my second weapon i make and the one I would be the most attentive to detail. (the first was a keyblade. pretty easy.) 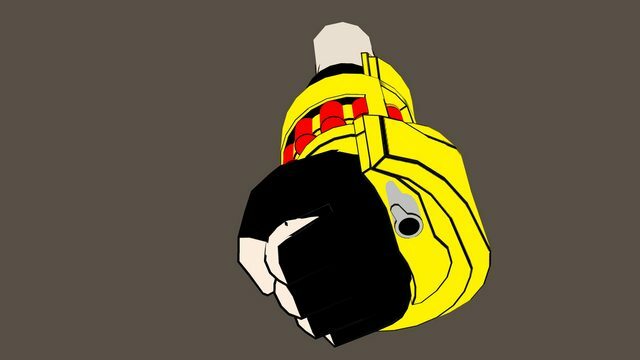 Any for Team JNPR's weapons would be cool to see you make, especially the hammer and Lei Ren's guns. hope to see more awesome in the future! 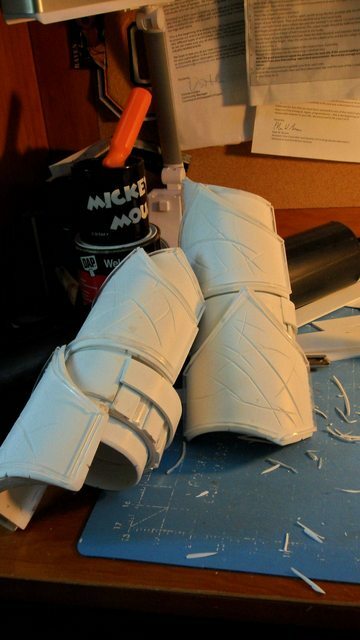 Where can I get the foam that you guys use. the only ones I seem to find are textured and can make it difficult to work with. I link it in my materials section. You can also find it on Amazon. GL! Do you happen to have an estimate cost for all the materials? 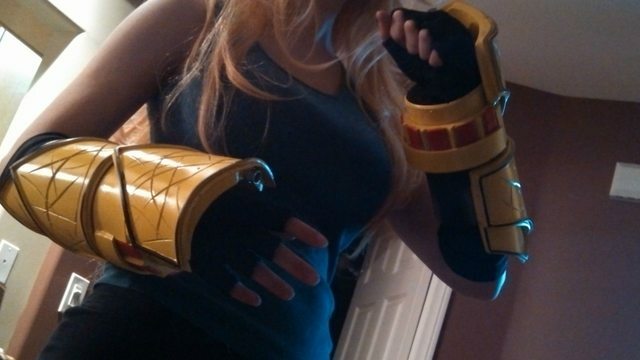 What is the thicknesss of the foam you used for the Ember Celica? And where do you buy it? 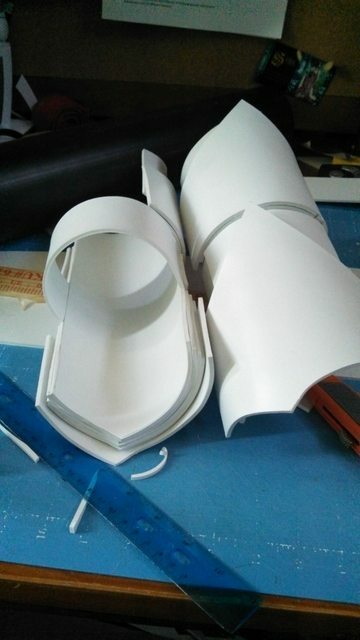 Can you only buy it online, because I went to an "arts and crafts" kind of shop and I didn't find anything close to Pvc foam. I link my supplier in the "Materials" section of this blog. You can also find it on Amazon if you search for "Sintra"
I have acrylic trim, Super Glue, Yellow Spray Paint, Red Paint, Black Paint Marker and I am missing PVC foam. Anything else? 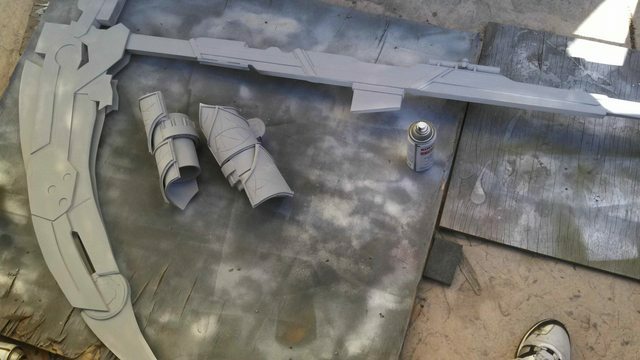 You'll need Bondo or some other putty to gap fill. What is the layout for the pieces? It's kind of difficult to tell from the pictures, and what is the significance of the numbers on some of the pieces? The number of pieces I was cutting out per gauntlet. barbour sale There gathered barbour outlet mostly migrant workers and small business operators, almost all low-income populations. And because there has not yet been developed, building backward, barbour sale almost barbour jackets outlet a slum. The home is in this slum, the only source of income for the family is barbour sale the parents every day to put thirteen Street night market stalls. Stalls are not the kind barbour sale of drove charcoal burning oven stall selling mutton barbour sale string, just a small cart. Would you consider doing this for commission? I can but I am busy until after August of this year. Thanks for your interest. 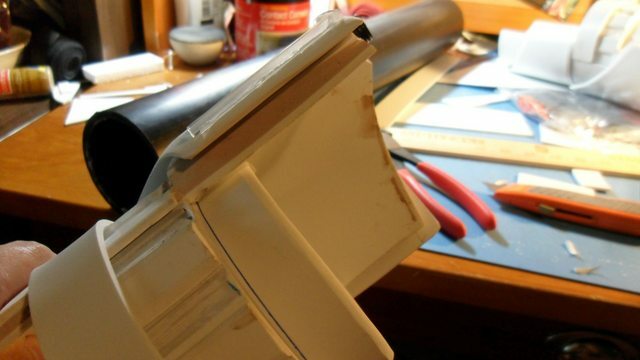 Is there a way to shape the PVC foam other than with heat? You can just try and force it to bend by folding it, but that's not recommended. are all three of the patterns A4 sized? How did you get the black symble in the shirt? Stitching it in, irion on? I'm lost o. What to do and any helpful tips when putting together the jacket and skirt? 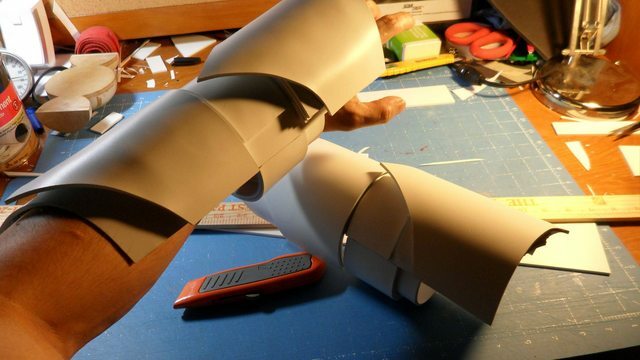 Will you possibly make a step-by-step guide on how to assemble the pieces together? 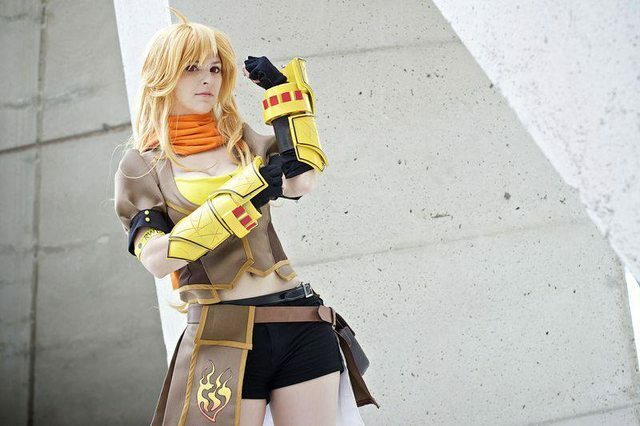 Wow, amazing works and cosplays ! 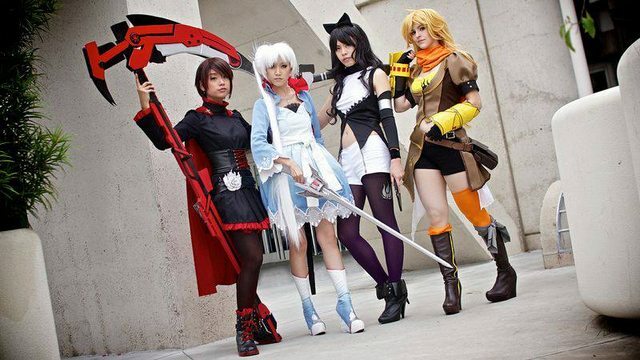 Get cheap quality and custom made RWBY cosplay costumes from Vcosplay.com and start your own amazing RWBY cosplay now !